This is an ancient Chinese proverb meaning literally "A horse brings victory." This is a good wish.. 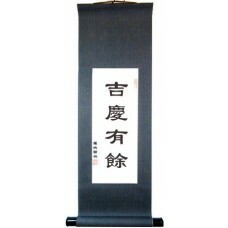 This good wishes Asian wall scroll espouses the Chinese characters for "good health." 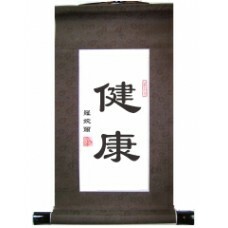 This is a..
Chinese love giving beautiful sounding good wishes to each other. This proverb is a good wish for .. This proverb is a very popular good wish in China. It is normally given to the elderly by young pe..